Stunning Show Videos Featuring the Best Middle Eastern Dance Artists! Brand New Video Release - Instructional Video!! Featuring Kahreen, Kira, and Helena! 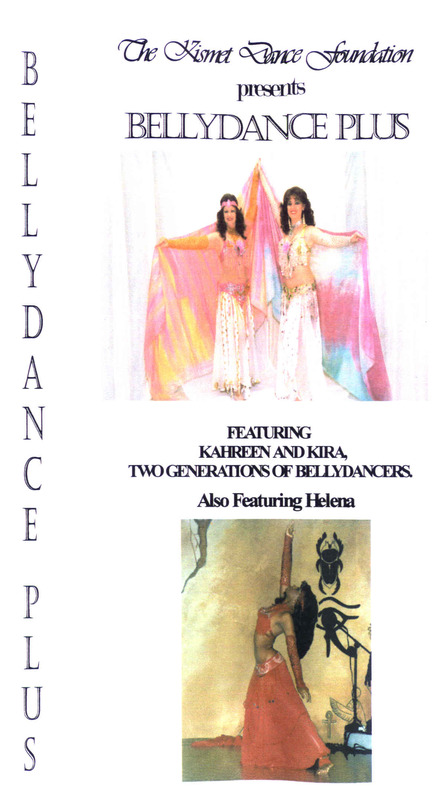 The Kismet Dance Foundation proudly announces the release of the eagerly anticipated Belly Dance Plus, a defintive teaching video that breaks down beginning dance isolations which are then incorporated into lovely and sensual combinations. This video features Kahreen, Kira, and Helena, three of Miami's longest established instructors, and covers the following subjects: taksim isolations, hand and arm movements, hip articulation, including a lovely veil choreography taught by Kira, and an inspirational "afro belly" segment taught by Helena. As a bonus, the end of the video shows all three teachers in performance, as well as two stunning performances by the award winning dance ensemble - Kismet Dancers of Miami. This video is taught in a "classroom" style format. It is geared for all levels of dancers, beginners to advanced levels. This video is meant to supplement a student's Middle Eastern Dance instruction. It is not intended to replace study with a qualified teacher.